For simplicity sake, we call the list of security features listed below as On-Label Security Features. These security features are done outside the scope of the typical in-design security features (that originate as part of the label design itself). 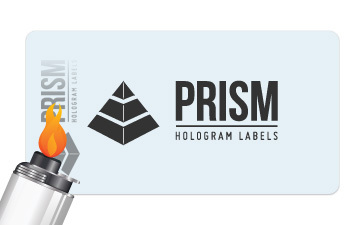 The On-Label set of security features are added to the labels post-production and enhance the overall security of the labels. Please have a look at our on-label security features below. 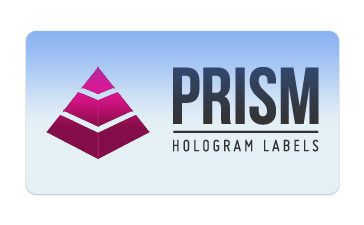 For demonstration purposes, each technique is shown as part of our own sample hologram label design. Clients can request physical sample labels from us in order to see how these techniques function in the real world. This is a UV activated feature that remains invisible until a UV source is passed over the label, which will then reveal the hidden object as a brilliant glowing object. 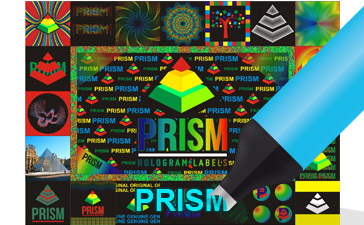 Hidden graphics and text becomes visible when a special pen is rubbed on the surface of the label. This security can only be revealed with a special pen. 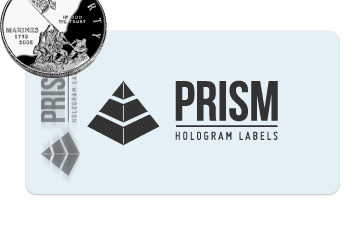 Hidden graphics and text becomes visible when a coin is rubbed on the surface of the label. This security doesn’t require any special devices or equipment to verify this security. This security feature requires friction or heat to activate the hidden graphics or text. The hidden object will be revealed by simply rubbing your finger on the label or by applying a heat source. The object will then disappear once the label has cooled back to normal temperatures. 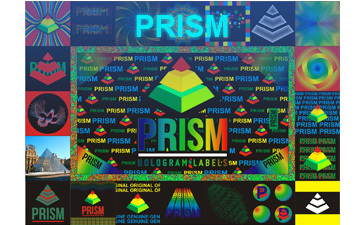 Fluorescence provides field level authentication of graphics or text by glowing when a UV light is passed over the hologram label. This makes it easy to verify label authenticity and by extension the item the label is affixed to. 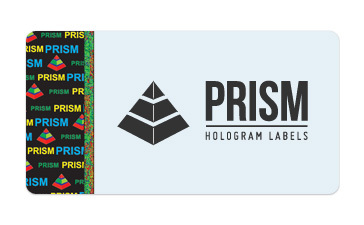 A highly visible holographic stripe that can be integrated into a variety of base label materials such as Paper, Polyester and tamper proof materials. 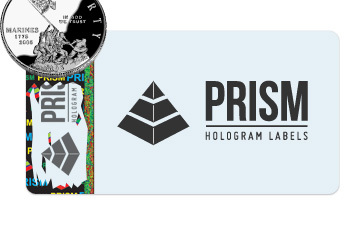 The holographic element is stamp directly on top of any part of the base label material such as Paper, Polyester and tamper proof materials. 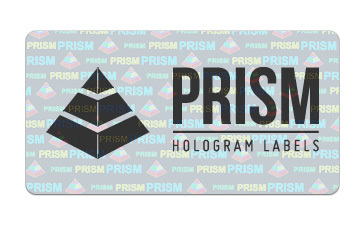 A holographic transparent element is placed over top of the base material, allowing the base to show through with minimal distortion to the base message but still allowing for the hologram to be visible at angles. 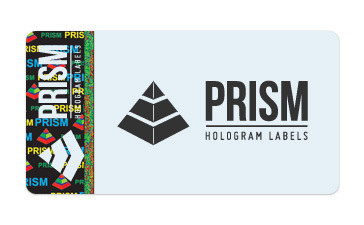 Similar to Holo-Stripe, this feature integrates highly visible holographic stripe onto a variety of base label materials such as Paper, Polyester and tamper proof materials. The stripe can then be scratched off to reveal hidden text or a code underneath.